Tales from the Real OC (Really! ): DARK FLAME in Stores Now!!! 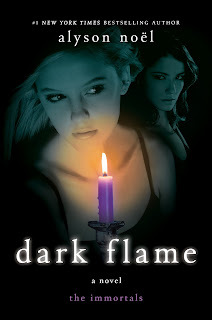 It's Dark Flame Day I really like that part with Roman. I also went and voted love shadowland now I have to get off this computer and go get Dark Flame. YES, YES, IT'S FINALLY HERE! I do hope that Roman and Ever do something at least . . . I was always a sucker for drama. Latishajean- AllieSon-- Thanks so much! Hope you both enjoy it! Oh no! I'm sure she'll go back to the light. Victoria- Well, one would hope . . . I'm going to pick mine up really soon! Congrads Alyson on the release, I hope the book does amazing! Yay! Can't wait to get my copy! But . . . I HATE JUDE. No offense. Are you going to publish Eternal Flame this year? So I just finished reading it. I told myself I wouldn't finish it so quickly but I just couldn't help myself. Twice I shut the book and pushed it away. ...And then I snatched it back, apologized to it, and continued reading it! It was absolutely amazing! I'm amazed by the characters (especially Ever!) and how they've grown. Yes! I got my copy. I'm reading it now as a matter in fact. Squeee! Kai- Thanks for always being so kind! DeAnna-Aw, thanks! So good to "see" you here! Lori- Thank you so much! Savannah- Thank you- hope you're enjoying it! Hey, I just noticed that you and Roman did the same "xoxo" at the end of your notes! P.S. I positively love Dark Flame! I have to be honest, I don't like Haven at ALL! Agh, she's getting on my nerves! Everyone else i love, Jude and Ever should be together! Katly- I know--Haven has a lot to learn . . .
My niece (I'm 33) told me about your books, since I was going to travel 12 hours from GA to TX. After she gave me a quick review of what the books were about and sent me the first one (Evermore)to read on my trip. Well now I'm completely addicted with this series. I've read all of the immortals books including "Dark Flame", which I ordered from Walmart two weeks before it came out. 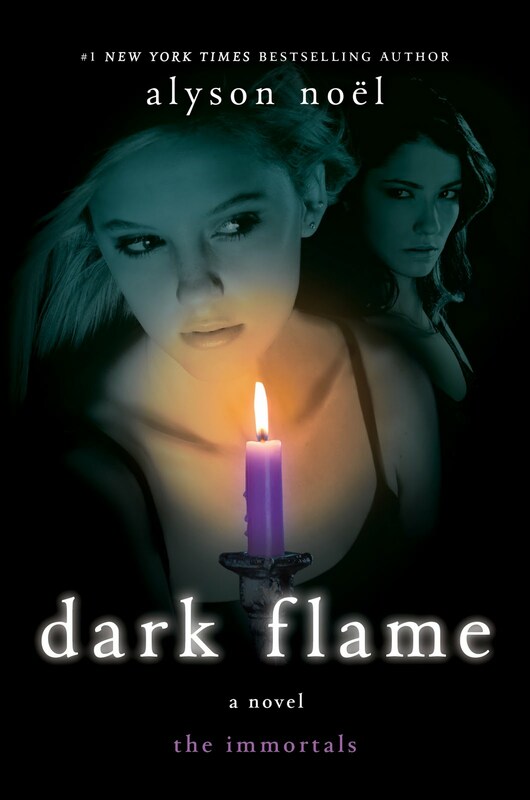 I received "Dark Flame" 6/23/10 and literally couldn't put it down, finishing it in 10 hours. Now I'm just waiting for the next one. I have a big question? Like I'm a big fan of your series as you can tell from my comments to you, hehe! Does Roman like Ever or Haven? I don't understand him at all! Hi Katly- Well, Roman is pretty complex, but the fact is, the only one he's ever had feeling for is Drina. Haven is just a diversion, he's not all that serious about her, and Ever, well, he just likes to torture her emotionally! He's also dreamy, but he's a bad boy. Well Haven have her happy ending or not? I don't like her all, maybe it's because of her bad attitude she has towards Ever for being prettier then her but can you answer that to me.. I think if I have to wait any longer to read this book I might die!!!!! I do not like Roman at all he is a horrible meanie and Ever can not like him at all!!!!! If she does I will not be able to go on!!!! Hey Katly- I agree- Haven is very hard to like, though I do feel sorry for her. She wants to be Ever's friend, but her jealousy always gets in the way . . .